It’s going to the wire, and we’re not just talking about the title. The Premier League could still see a record number of goals scored this season, and other club milestones in scoring could be reached. The 1,000th Premier League goal of the season will be scored this weekend. The current tally before play starts on Saturday is 992 goals, so eight more are required for the 1,000. Surely they will come on Saturday and / or Sunday. The 1,000-goal mark has only been reached in six of the 14 completed 38-games-per-team Premier League seasons to date. With 22 matches remaining to complete the Premier League season, we need 69 more goals to beat the record 1,060 goals in a Premier League season, set in 1999-2000. 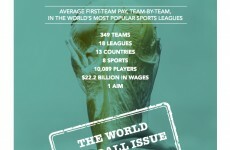 So we need just more than three goals per game. The record number of goals by a team in a 20-team Premier League season stands at 97 by Manchester United in 1999-00. Chelsea have 93 goals so far this season with two games remaining, so can still beat that. With more exploits like last week’s, Chelsea could become the first top-flight team in England since Tottenham in 1962-63 to score 100 league goals or more in a season. Spurs scored 111 that season (in a 42-game campaign), and still finished second! Only 10 teams in the 17 completed Premier League seasons to date have managed to score 80 goals or more in a season. Already this season Chelsea have done that (93 goals) and Manchester United have done it (81) while Arsenal (78) could still do it. 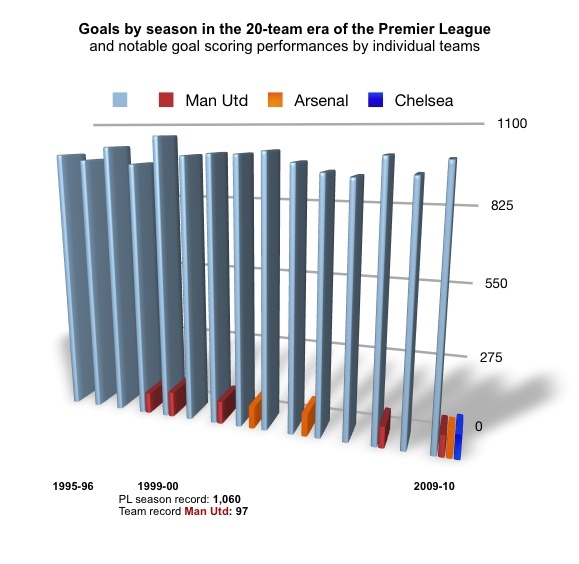 Our goals chart below shows the total number of goals by season since 1995-96 in grey-blue. 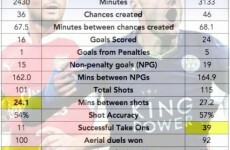 Manchester United’s “80-goals+” seasons are in red, and Arsenal’s are in yellow, and Chelsea’s (their first and only “over 80″ being this season) is in blue. The table below that takes us from our theme of needing late goals (this season, to break records) to the scoring of late goals, literally, in games. 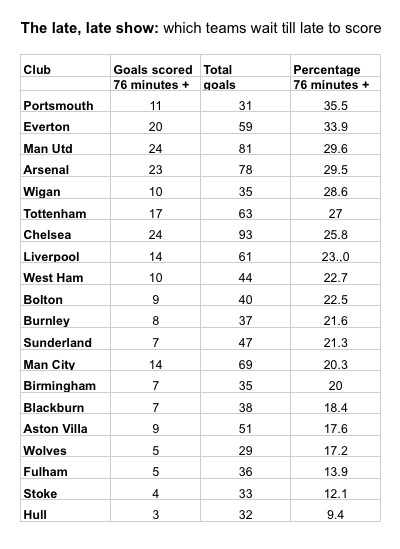 It’s self explanatory but the main points are that Portsmouth score a relatively large portion of their goals in the last 15 minutes (as do Everton, Manchester United and Arsenal), while Hull rarely score late, and neither do Stoke or Fulham. Not in the League, anyway.